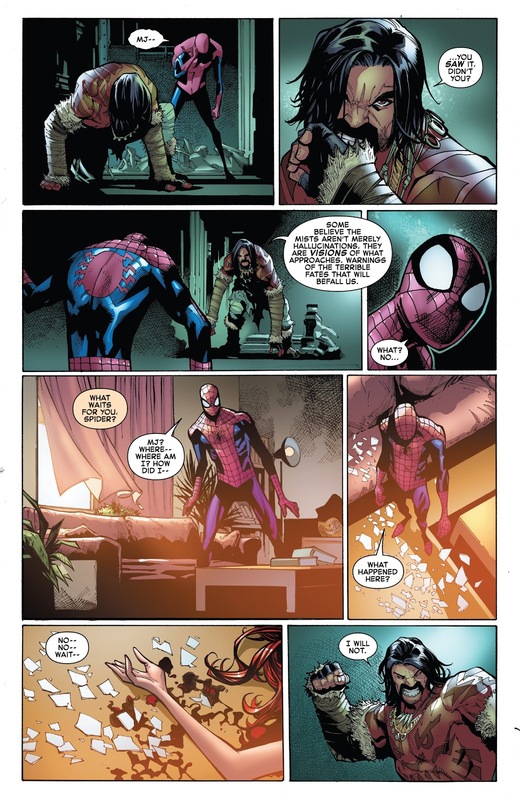 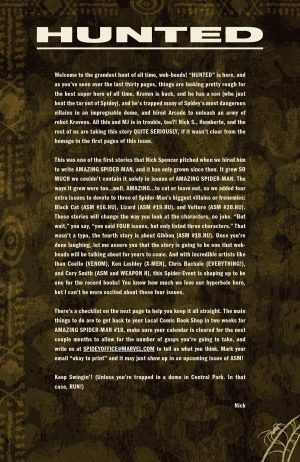 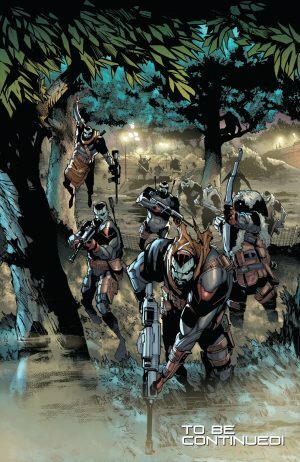 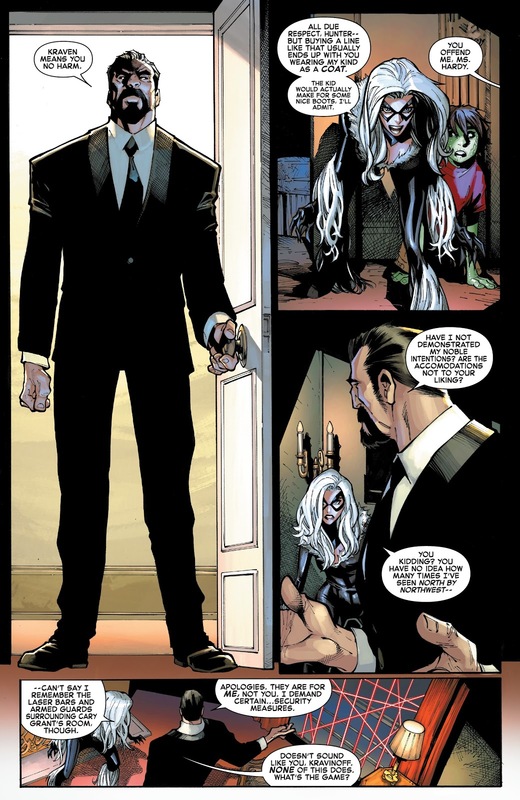 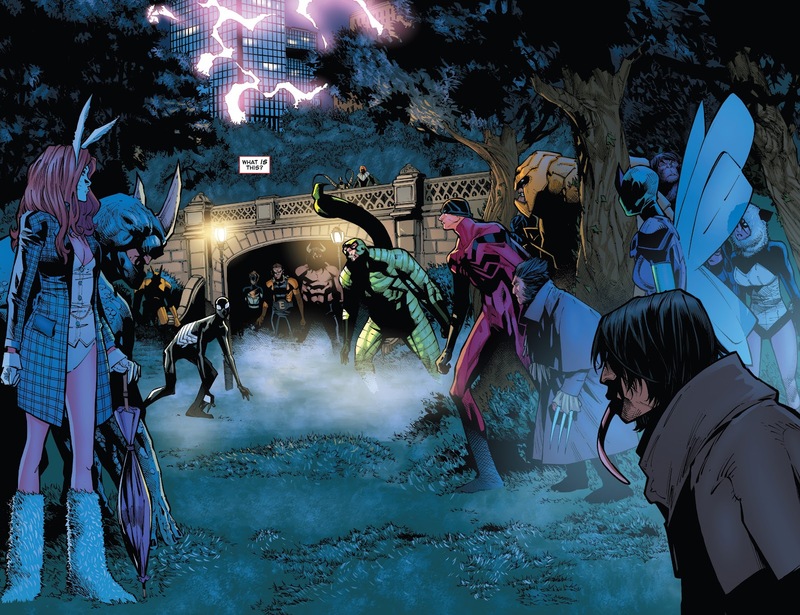 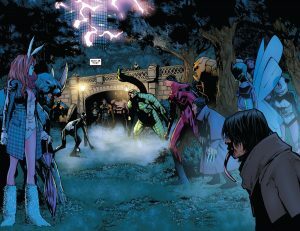 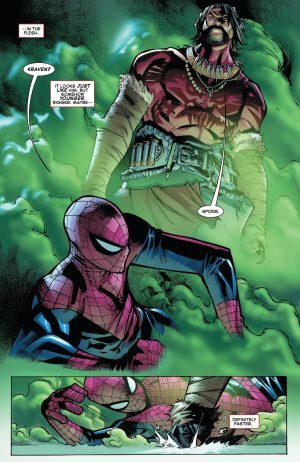 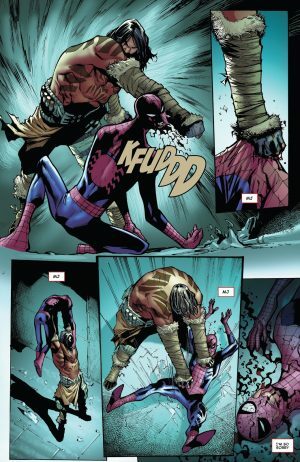 Marvel Comics Universe and Amazing Spider-Man #17 Spoilers follows. 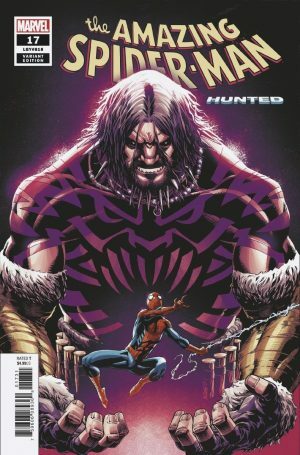 Kraven The Hunter Strikes! What Is Mary Jane Watson’s Fate As Spider-Man Becomes The Hunted?! 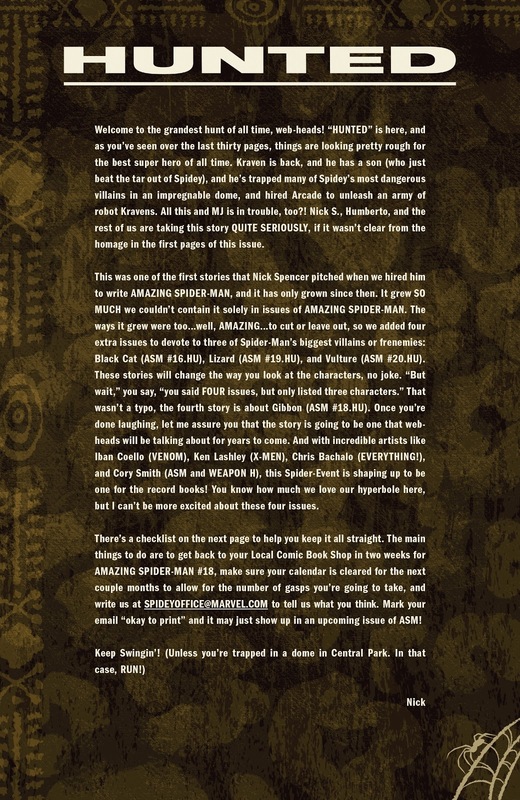 The book includes a storyline catch-up and creators’ credits page. Kraven the Hunter has trapped animal-named heroes and villains including the Black Cat! Black Cat and her kid cellmate are bait for Spider-Man and she is none too pleased about that! …and attacked by Kraven’s son. 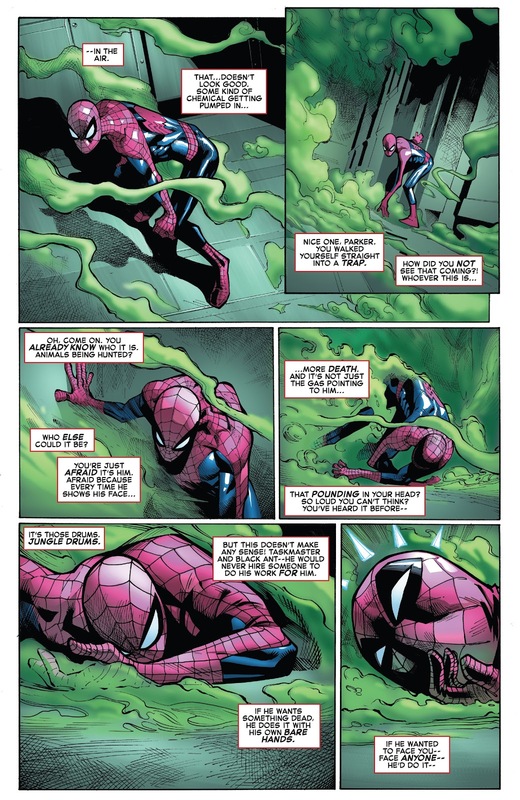 Readers are confused over some pages as Mary Jane Watson’s bloody body is transposed between panels. 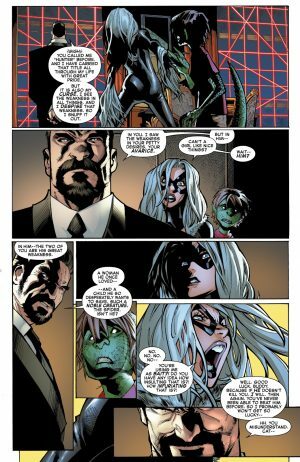 Is Spider-Man actually beating her thinking its Kraven since he’s been drugged? 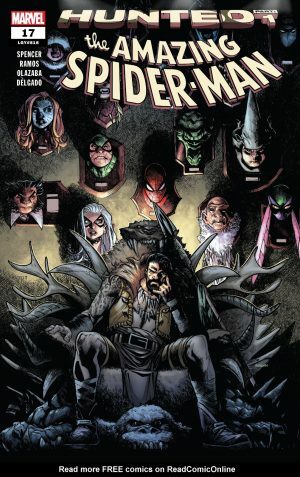 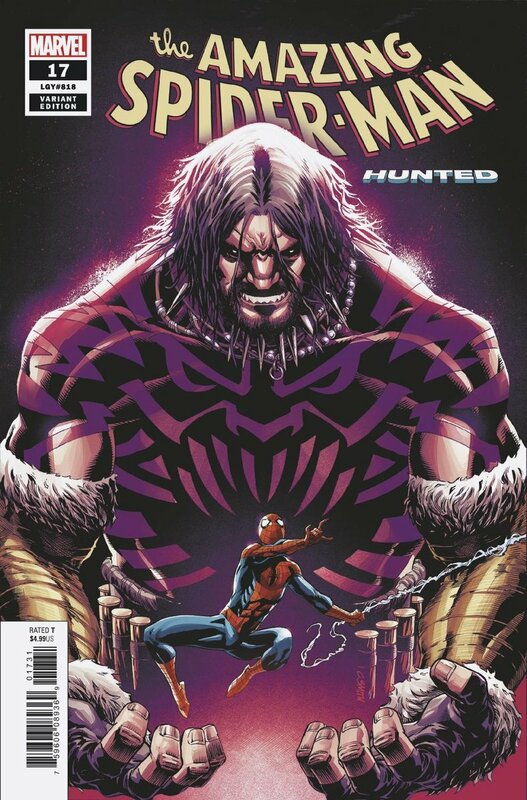 …he’s surrounded by other animal-named heroes and villains to be hunted by robotic Kraven the Hunters? 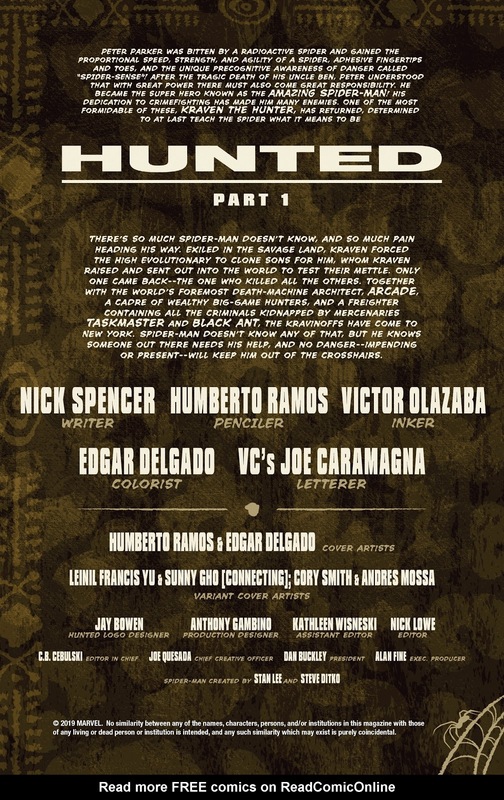 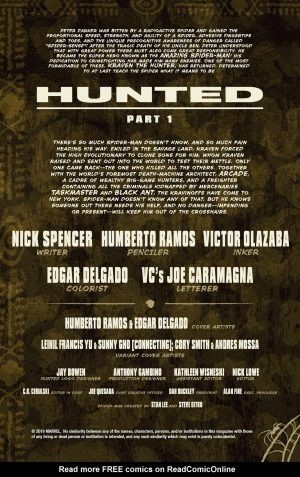 We end with a word about the Hunted arc.